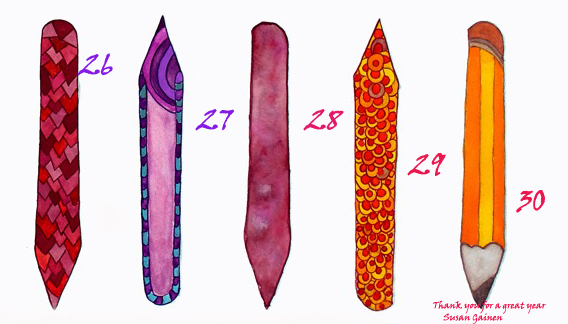 I posted the the last five Pencils and Crayons this morning. Creating an image-a-day began as a lark with last October’s pumpkins, and quickly became a commitment, a discipline, and a joy. 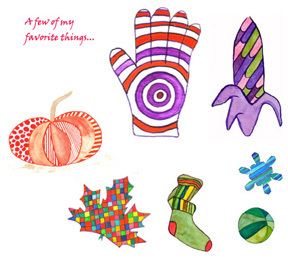 Some of the months’ images were obvious (leaves/November; Hanukah candles & snowflakes/December; basketballs/March; raindrops/April; corn/July; heirloom tomatoes/August), and other months were a creative leap (lost left-handed gloves/January; missing socks/February). THE LLLAMAS To introduce the LLLama Families in May, I needed to sit down and write their stories. This was fair. For more than two years the 30+ LLLamas had been nagging me to take them off the shelf and get them out into the world. After being posted to Facebook, they embarked on a world tour, leaving behind SpokesLLLama Rainbow. They will return to the small friends’ site in January 2012. SMALL FRIENDS When it was clear that the LLLamas would have their day in the sun, the other small friends who had been lurking on the nanoscapes website and in my studio finally put down their collective feet, and demanded both a month (June) and a website of their own. The nanoscapes and small friends had an amicable divorce in early June, and the small friends have their own website, blog, and The Small Friends Research Institute. It’s been quite a year, or with a tip of the hat to one of my favorite songs, The Grateful Dead‘s “Truckin,” — What a long, strange, and extraordinarily fun trip it’s been. An image-a-day. In 2010, as an artist at the Hopkins (MN) Farmers Market, I was inspired by the farmer vendors to paint pumpkin post cards. After posting a pumpkin-a-day on my Facebook page in October, I could not stop. By February 2011, the Post Card Project had moved from postcards to large sheets of Arches 140# paper. 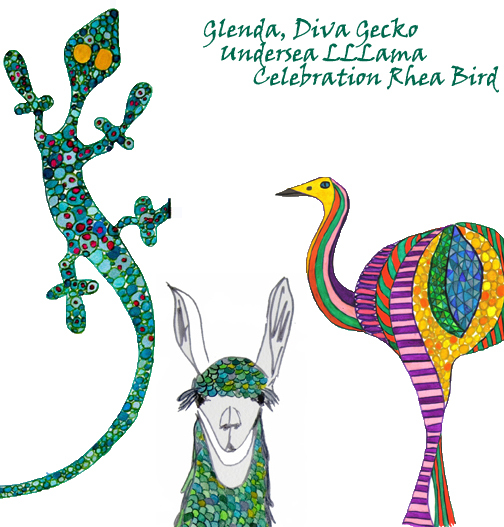 While most are seasonal, I also introduced the LLLama Families and the small friends, a group of whimsical creatures. 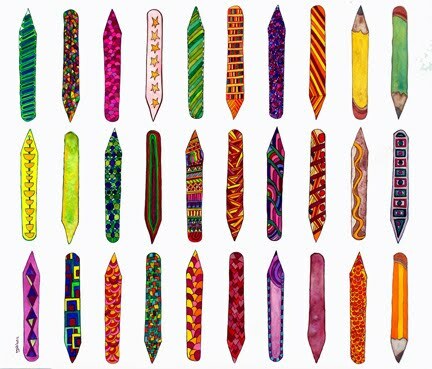 The geometric abstractions called nanoscapes and the small friends are now in separate websites. 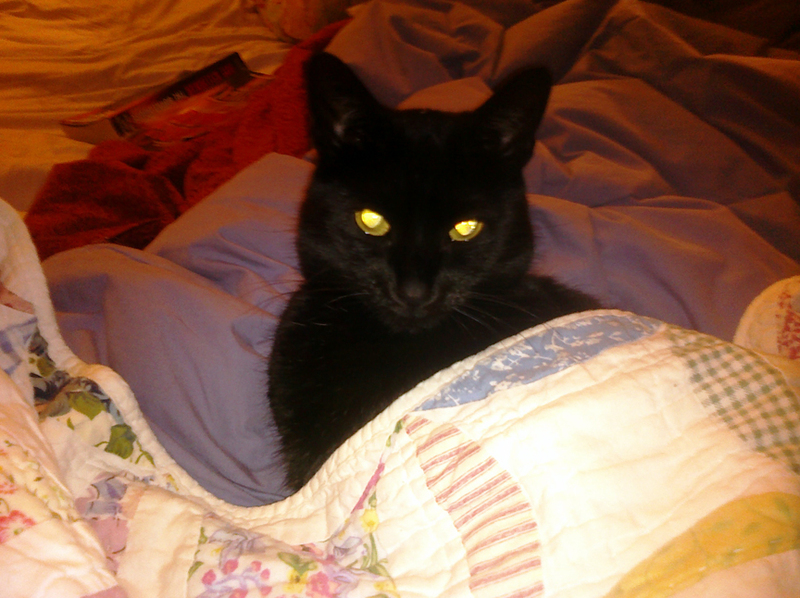 Will I continue with an image-a-day? Yes, but I will begin in an organized way on January 1, 2012. I have lots of projects to complete between now and then: a calendar, the small friends alphabet, the Lives of the LLLamas, and more! I am also committed to the work of the Small Friends Research Institute, which is dedicated to the discovery and documentation of new whimsical creatures. 31 Ears of Corn for July When I painted 31 pumpkins for October 2010, I didn’t plan to keep up painting and posting an image-a-day for a year on Facebook, but here I am in July with 31 ears of corn painted on a piece of 22×33″ Arches 140# paper. Like all corn lovers, I haunt farmers’ markets, looking for local sweet corn. Everyone knows that the best corn is the freshest corn and the fewest number of minutes between picking and cooking makes the best corn. Sadly, during this first week of July in Minnesota, the only corn to be found is from elsewhere. It will be here soon. A 10-month review: pumpkins (October), leaves (November), Hanukah candles and snowflakes (December), lost left-handed gloves (January), missing socks (February), basketballs (March), raindrops (April), LLLamas (May), the whimsical creatures known as small friends (June), and corn (July). Find corn images on cool products at zazzle.com. What inspires me? Even before 17 inches of snow fell on my balcony last weekend, I knew that my next Post Card Project would be The 31 Lost Left Gloves of January. This won’t surprise my FB friends on whom I have inflicted the 31 Pumpkins of October, the 30 Leaves of November, the 8 Hanukah Candles, and the 23 Snowflakes for the Rest of December. Here is a first look at the gloves, which I created with a Photoshop horizontal flip of a free clip art glove. 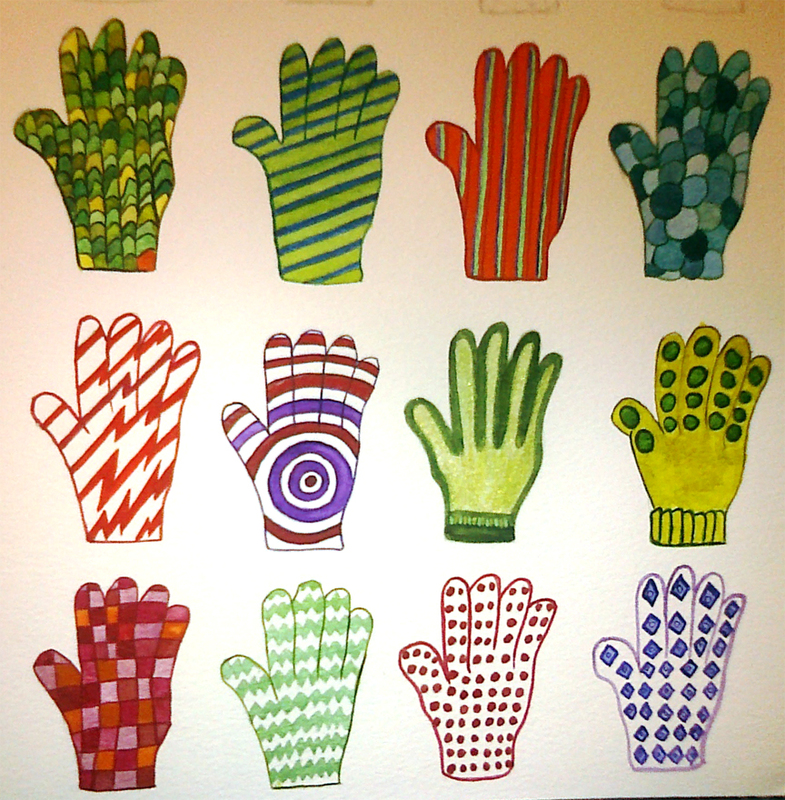 I will have traced and painted 31 very small left hand gloves, some of which may be inspirations for knitters. Note from 2014: These gloves art part of the 2010 Image-a-day project.